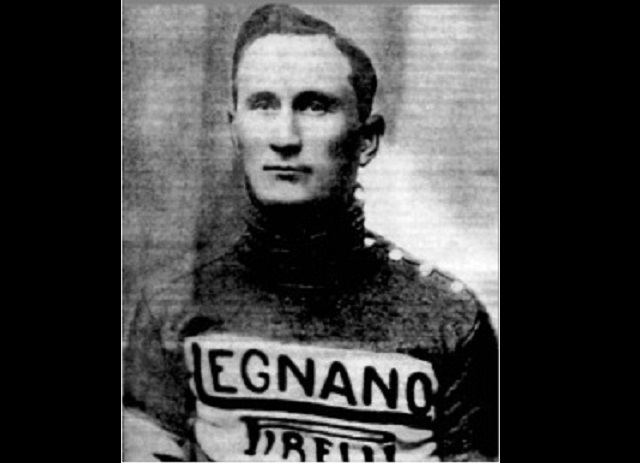 In 1924, Giuseppe Enrici won the Giro d’Italia to become the first rider born outside of Italy to win the race, or any Grand Tour for that matter. Although Enrici raced as an Italian, he had actually been born in Pittsburgh on 2 January 1896. Waves of Italian immigrants had moved to Pennsylvania in the final decade of the 19th century and the Enrici family were amongst those to move to Pittsburgh. Between 1890 and 1900, the Italian population in the state had grown from 2,794 to more than 66,000 with many working on the railroads, in the coal mines and slate quarries. However, the Enrici family at some stage decided to move back to Italy and they returned to Piedmont. The Northern Italian region was a heartland of cycling at that time, and young Giuseppe took a keen interest in the sport. After racing as an individual in 1921, Enrici really came to prominence the following year. He signed for one of the top Italian teams, Legnano – Pirelli, who took victory in Milan-San Remo with Giovanni Brunero and the Giro del Veneto with Alfredo Sivocci. Brunero also took victory in the Giro d’Italia that year as Enrici finished in third place – his best result to-date. Two years later in the 1924 Giro d’Italia, Enrici had a great opportunity to make a name for himself as a number of the big-name riders including Brunero and Costante Girardengo refused to start because of a dispute over start money. 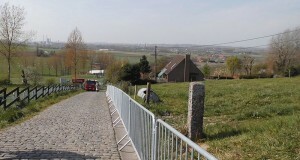 The first half of the race went very for Enrici as he finished in the top five of each of the first six stages to leave him in 2nd place overall, sixteen minutes behind race leader Federico Gay. On the 304-kilometre seventh stage from Foggia to L’Aquila, Enrici came to the fore as he took the stage win ahead of Italiano Lugli to take over the race lead from Gay by just a minute. Two days later, on the eighth stage from L’Aquila to Perugia, Enrici really stretched out his advantage as Gay lost forty minutes on a day of terrible weather. The US-Born rider would hold on to his big lead to the finish in Milan, despite suffering from a foot infection to gain his biggest ever win. He raced for French teams for the next few seasons, but would never reach the heights of his 1924 Giro win. He died in Nice in 1968 and twenty years later, Andy Hampsten would become the second and to-date the only other rider born in the USA to win the Giro d’Italia.